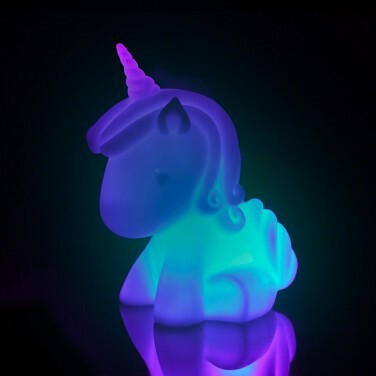 With his unicorn horn and curls in his mane, kids will love this magical unicorn lamp that light up through an enchanting colour change. 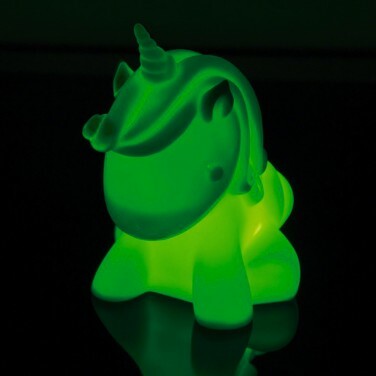 Battery operated, this soothing lamp can be placed anywhere in your child's room to cast colourful light into their room when it gets dark. 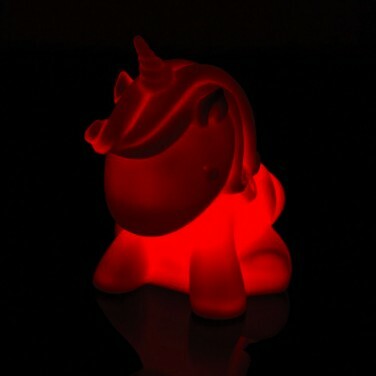 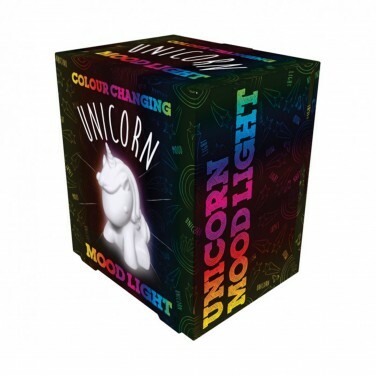 Lit by a colour change LED this sweet unicorn remains cool to the touch making him ideal for kids of all ages. 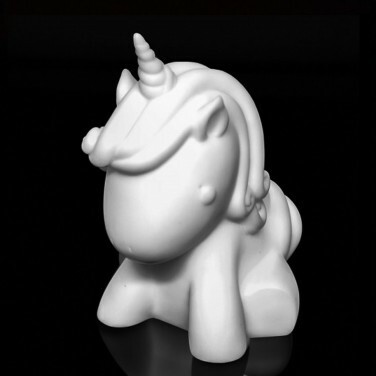 Fill your room with magical images of fairies and unicorns from this fun projector torch.